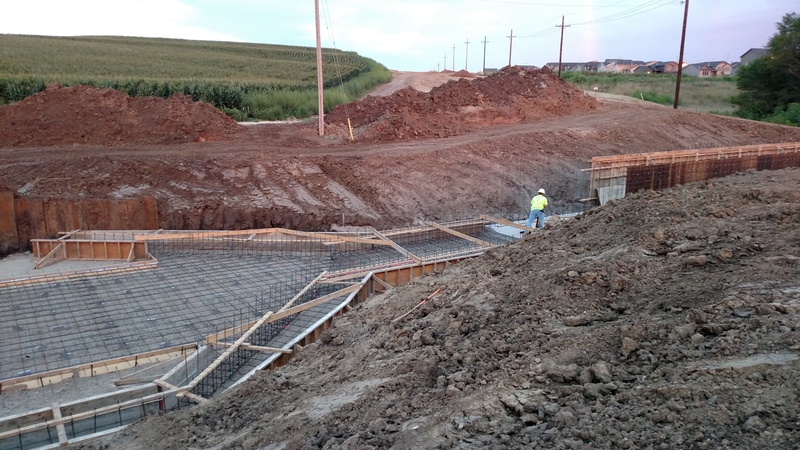 Valley Corporation was hired to construct the box culvert on ‘Giles Road 192nd Street to 186th Street’ project, in Sarpy County. 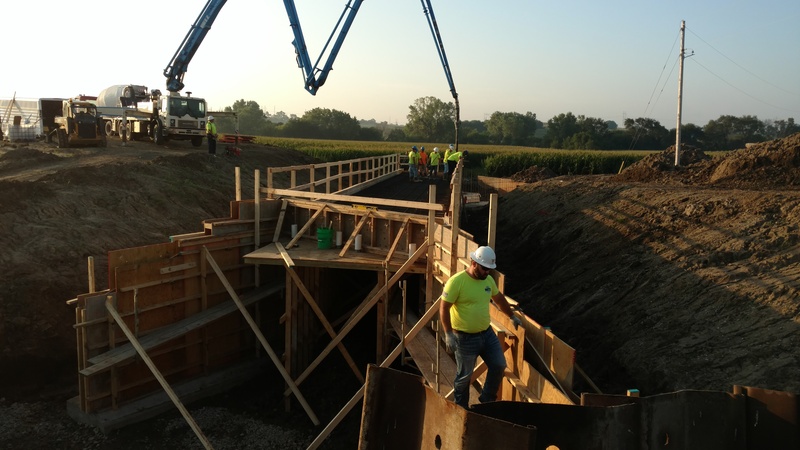 The box itself was a fairly standard, a 10 FT by 8 FT single cell Box Culvert and 113 FT long, but the construction of the box was the critical path of the project. What was unique about this box culvert was the 39 FT Concrete Energy Dissipator on the outlet end. An Energy Dissipator slows down the water velocity to protect downstream areas from erosion. Valley Corporation had constructed an energy dissipator on their previous box culvert, but it constructed out of steel angles. This dissipator had a standard outlet that extended out with sloped walls and two different sized concrete baffles. 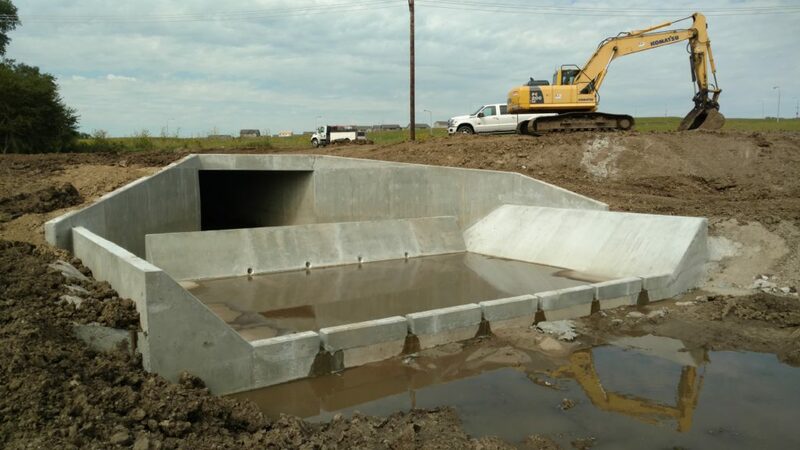 The many angles and complexity of this box took longer, but Valley’s structure crew stepped up to the unique challenges of this box culvert and were able to construct the box in a timely and cost efficient matter. Other unique aspects to this project were Valley Corporations methods for controlling the flow of the creek. Three 24” diameter HDPE temporary drainage lines were installed to divert the flow of the creek around where the box was to be constructed.